Weir fishing still endures as a sustainable practice, thanks to a few hardy Cape Cod fishermen. 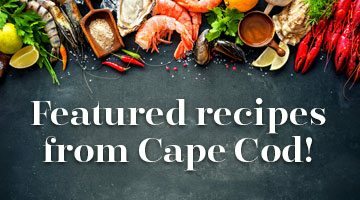 The period from 1870 to 1930 was the heyday of weir fishing on Cape Cod, when weir-caught fish accounted for around a quarter of all New England seafood that went to market. In those days, earthen colored nets hanging from hickory poles poked from the surface of the water all over Nantucket Sound and Cape Cod Bay. The catch was split up into baitfish for the big schooners that plied the Grand Banks, fishing for cod and halibut, and the rest was put on railway cars and shipped to consumer markets in Boston and New York City. To store the quantities being shipped, freezer houses sprung up from Truro to the Cape Cod Canal. Today, Ernie Eldredge, his wife, Shareen Davis, and his brother John oversee one of the last weir fishing businesses on Cape Cod, Chatham Fisheries and the Monomoy Trap Company. Weir fishing is also antiquated and labor-intensive, and the season can be as short as 10 days. But even after a lifetime spent fishing this way, Eldredge is still as enthusiastic as ever. “It’s the excitement of not knowing what’s going to be there when you get out to the nets,” he says. Weir fishing runs deep in Davis’s family as well–her family has fished weirs for generations. The practice itself stretches to antiquity: Proto fishermen from Vikings to the ancient Japanese used weirs as a way to increase their yield. The Wampanoag and Algonquin practiced it in local waters. It is a low-impact fishery that takes only targeted species and allows for the unharmed release of bycatch. Davis, who is also a photographer and co-owner of the Nickerson Art Gallery in Chatham, says the methods her family uses today are a hybrid of the ancient European techniques combined with practices originating in local waters around the end of the 1880s. Eldredge’s father bought a weir fishing business in the late 1940s. At the time, structural changes to the fishing business—the simultaneous decline of both the mackerel fishery and the railways, among other challenges—meant the big New York and Boston companies that dominated the fishing business sold out to independent locals. The company still uses a private dock on Stage Harbor that came with the purchase.